The North of Ireland Family History Society is a registered charity (NIC106071) with particular reference to the nine counties of Ulster. 67 Church Road, Newtownabbey, Co. Antrim, BT36 7LS. (except in holiday periods) and by arrangement. The NIFHS Show Team will be at this Alexandra Palace event. Come along and look us up. The Society has established a project to use DNA testing as an aid to making genealogical connections within and between families whose roots are in the North of Ireland. Find out how our Research Centre with its Resources and our online Shop can help your research in Family History. Open from 2 pm to 8 pm on Tuesdays. Closed on Easter Tuesday 23rd April. This book details the gravestone Inscriptions and Interments in the Old Section of Larne’s Greenland cemetery. Price reduced – now £9.50 plus P&P. Names and dates by themselves don’t tell much of a story. The competition is to encourage people to write up at least part of their family history. Open to all members of the Society. Details of the various courses offered from February to May are on the Courses page. The Spring Courses Leaflet is now available for viewing and downloading. An outline of what you can find in the JSTOR Ireland Collection which is provided free of charge to all paid up NIFHS branch and associate members with an email address registered with JSTOR Support. Do you shop on Amazon UK? If so, next time use smile.amazon.co.uk. Amazon will then, at no cost to you, make a donation to a charity of your choice. The North of Ireland Family History Society is one of the charities to benefit. To book your place now email Martin at Education@NIFHS.org. email Martin at Education@NIFHS.org for a place on the waiting list. If demand is sufficient the course may be repeated. These courses are open to members and non-members, however a course will not run if there are not enough enrolments for it. More details can be found on the Courses page. Associate Membership is for those, typically living far away, who do not attend meetings but who wish to enjoy the other Benefits of Membership. To join or renew online, go to the Associate Membership page and submit your application via PayPal (using your PayPal account or a credit/debit card). To join or renew by post use the Associate Membership Form with a cheque or Bankers Draft in UK Sterling drawn on a UK Bank to the Society. Associate Members receive the two issues of the North Irish Roots journal published during the membership year. The Society’s collection of Family Trees has now been indexed – are your relatives mentioned there? Or in the Ancestor Charts? Or in the Mourning Cards? The new season of talks arranged by the various Branches starts in September. All are open to the public. 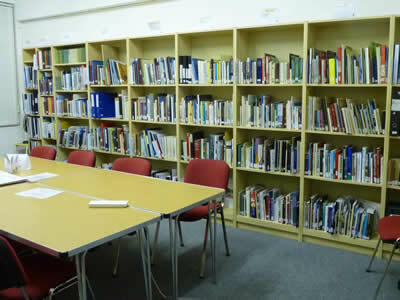 The Branch Membership year runs from September to August. New members are especially welcome. Join early to get the maximum benefit. The Calendar includes events planned by the Society and its Branches. Details may be subject to change. Please confirm details with the organising Branch. Find out how joining our Society at one of its Branches or with Associate Membership can help your research. has been posted out to Members. Find out how our Research Centre with its Resources and online Shop can help your family history research.